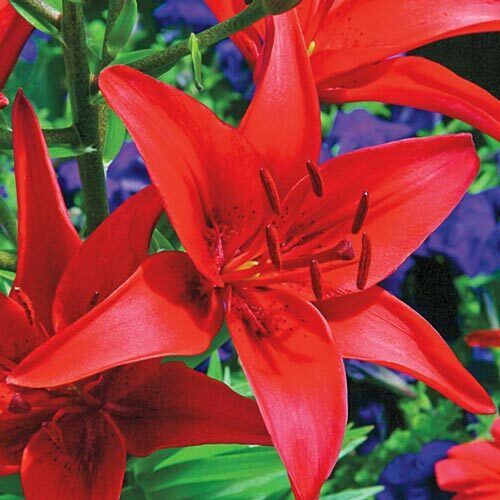 This Asiatic lily produces an abundance of large, 6-8" blooms of shimmering, scarlet-red atop 3-4' tall plants. This stunner grows almost anywhere in zones 3 to 9 in full sun to partial shade. You'll adore these blooms, but deer won't—they tend to avoid it. Soil Requirementwell drained is important. Watering RequirementAverage, medium moisture needed. Do not allow soil to dry out but do not overwater. 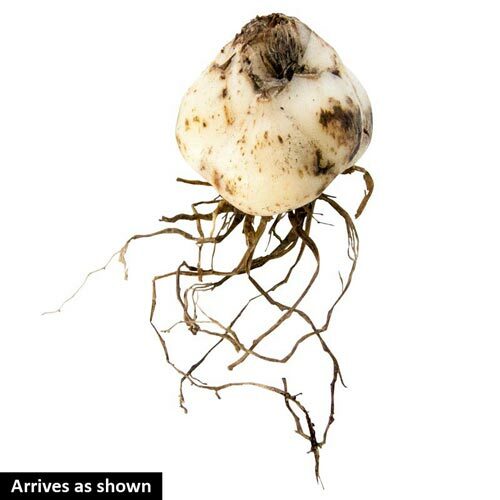 Unique CharactersticsStrong growth and extremely hardy. It has 6-8" diameter flowers that are scarlet red. Can be grown in containers for smaller flowers. Provides great contrasting color to borders.